What you need is an easy way to keep your plants watered even when things get too busy or when work or a vacation takes you far away from home. 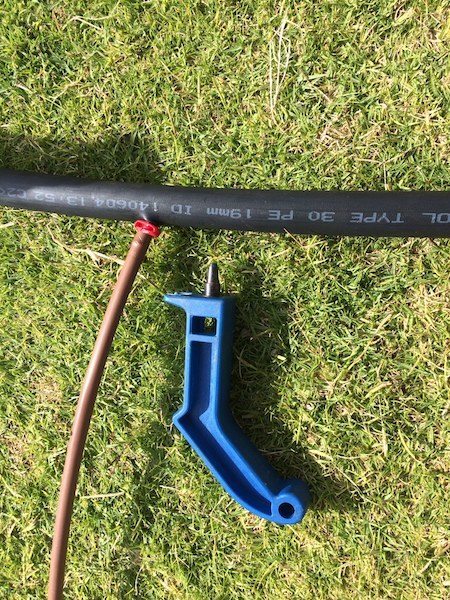 Drip Irrigation – Best for plant and flower beds, vegetable gardens, and beds with trees and ornamentals. This system works through drip emitters, which put small amounts of water at the root system. The drip lines are kept under the mulch which reduces evaporation and losses of water, this is one of the most efficient irrigation systems out there. 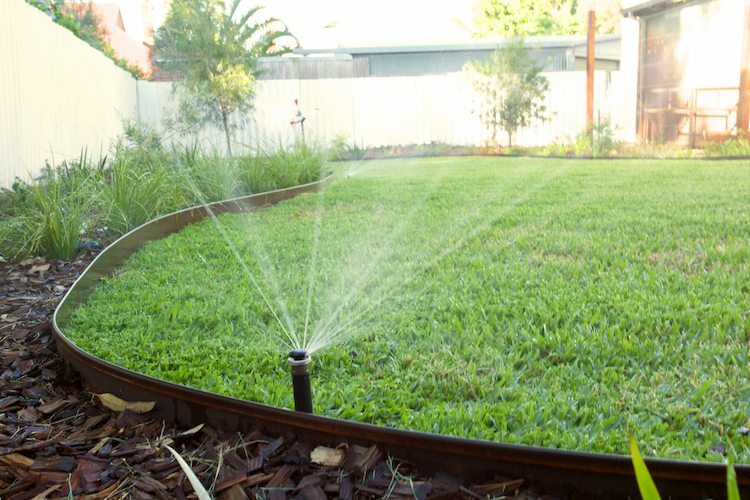 Sprinkler System – As the name suggests, sprinklers toss water into the air, treating lawns to a rain shower. 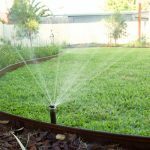 Sprinkler systems should only turn on in the early morning since a lot of the water is lost through evaporation in the afternoon, and your plants need to use most of the water during the day to cool down. On your watering day you’re allow to water your garden either in the morning before 9AM or after 6PM. If unsure, consult the water corporation tool to find out more info. 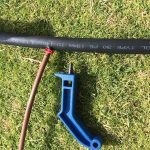 Soaker Hoses – Think drip irrigation but without automation. Connected to a water source, the hoses have tiny holes that “weep” water. Soaker hoses can be placed on the ground or buried under mulch. Rainwater Harvesting – Now this last option is complicated in Perth. 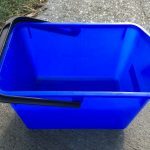 Due to the low and irregular rainfall (mostly in Winter) you would need to store large quantities of water to water throughout the dry season. This is the best option for saving water, especially in areas where water is at a premium. In this system, rainwater is collected in barrels or large underground cisterns. 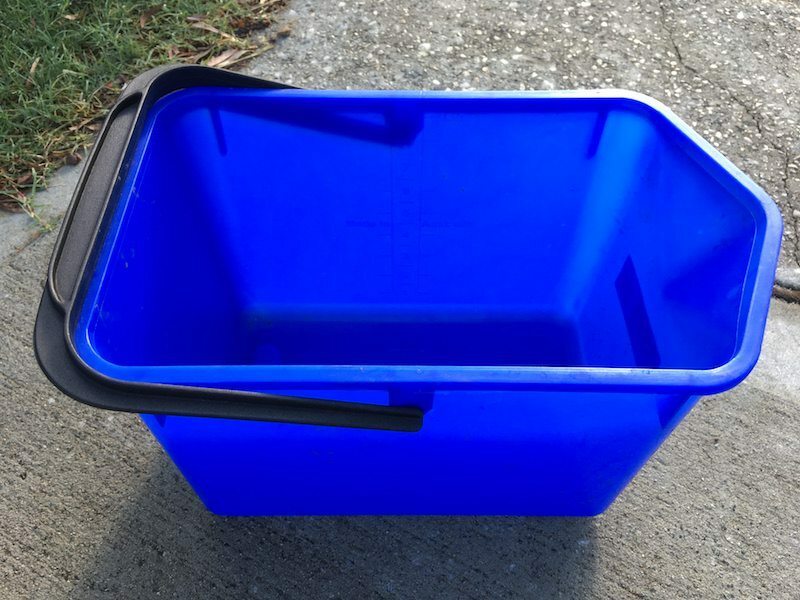 Let’s work out how much water you would need to store for a 100m2 lawn… We are allowed 2 waterings per weeks and are allowed to pour 10mm of water on the lawn, which represents 1m3/1,000L per watering or 2m3/2,000L of water per week ( 100m2 X 10mm = 1m3). Throughout the watering season we have approximately 39 weeks – you would need to store 78,000L of water to water your lawn. 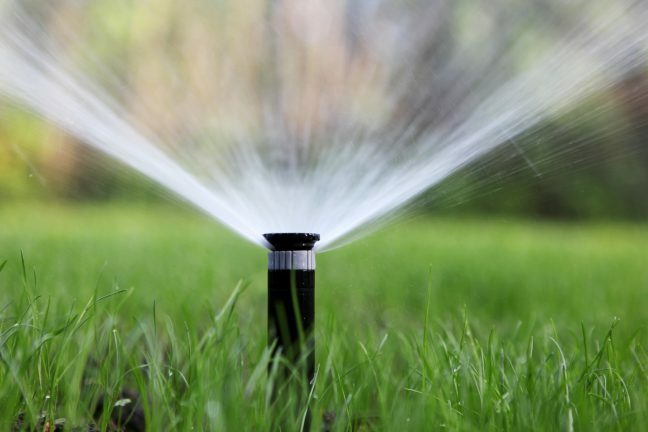 Whatever irrigation system you choose, it’s important to consider the area that will be watered, where the sprinklers or hoses will be placed, what you’re going to spend and how much water you can save. 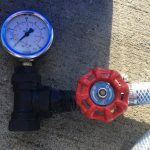 If you decide to go the DIY route for installing an irrigation system for your home, you can follow this easy, step-by-step guide. 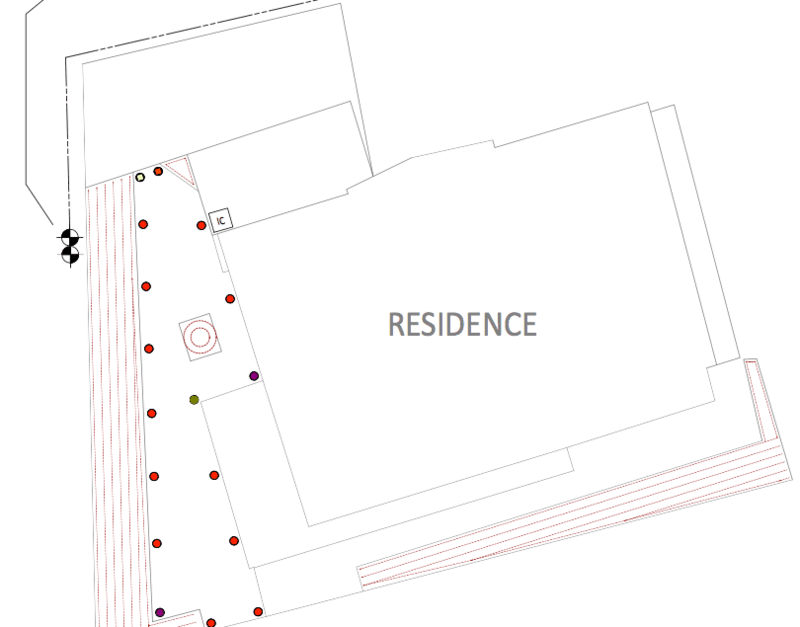 Measure and map your garden or yard. 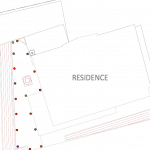 When you’re drawing out your map, make sure to include any obstacles such as trees and include as much information as possible (all garden and lawn areas, any paths or driveways, where your taps are located). That means drawing to scale (1:100 is ideal for most garden, for smaller gardens 1:50 is fine). 2. Determine your flow rate and the pressure available. 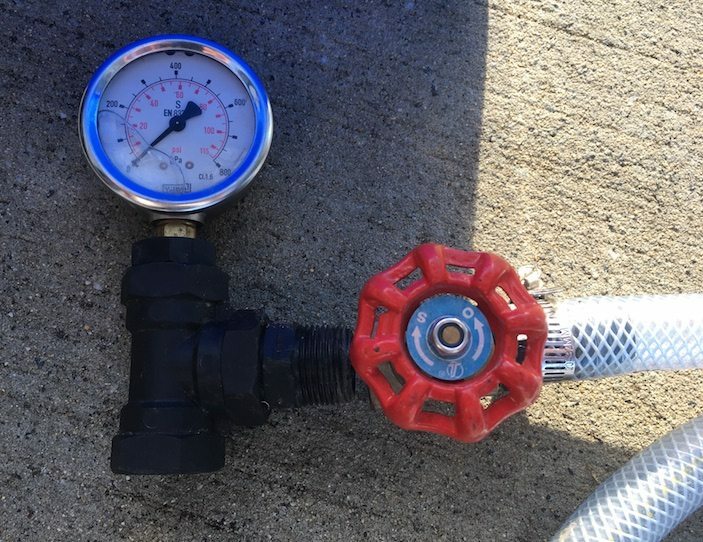 To test the pressure available you will need a pressure gauge, available from most irrigation stores. Attache the gauge to your tap, open the tap fully and read the results. 3. Divide your gardens and lawns into zones. To avoid wasting water, each zone should require the same amount of water at about the same frequency. Experts know that you cannot put drippers and garden sprayers on the same zone. Doing this gives uneven water coverage and results in inefficient water use. Tip: To avoid dry spots, sprinklers should be installed so that one sprinkler sprays onto the adjacent sprinkler for head to head coverage. 4. Know your soil type. Sandy soil requires closer spacing as the water tends to drain through on sand while clay soil needs wider spacing as the water tends to travel laterally more on clay. As a general rule, a run of dripline should be placed every 30cm to create a grid pattern that places a dripper at each corner. Have a chat to a specialist about this. 5. Decide if you want a manual or automatic system. Going manual would, of course, save you money but it’s mostly guesswork at best. Basically, you turn the tap on when you want to water an area and turn it off when you think said area has had enough water. Not ideal when you are on holidays. You can also go with a fully automated reticulation system, one where your lawns and gardens are watered whether you are home or not. This will require a controller, solenoid valves, and multi-core cable. We can help you choose the best irrigation system for your home. Contact us for more info on our full range of reticulation services including lawn and garden irrigation, maintenance and installation.